Discover in depth about our award winning strategies, hardworking team, and our success journey and know why we are the personal favorite of businesses around the globe. Kinex Media is a result-driven and technologically advanced digital agency which aims at providing the most astonishing services in the fields of Website design, web development, E-commerce and online marketing. 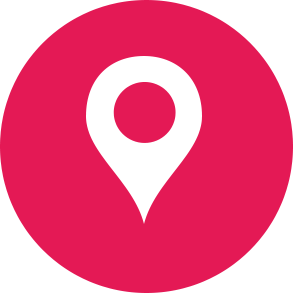 We began our journey in the year 2008 in Mississauga, Ontario as a startup digital agency, with a vision of providing businesses with amazing digital experiences and help their business grow into a global brand. With our teams' hard work over the years & the trust our clients put in us, we are now a leading digital agency in Canada with some of the world's most renowned brands. At Kinex Media, we've handpicked the very best design & development experts along with the finest marketing strategists & E-commerce specialists from different parts of the world. We have been rewarded many times for our exceptional designs and services. We aim to build ever-lasting business relations with our clients by delivering exceptional results, increased sales and improve the return on investment (ROI). We have been lucky enough to work with some of the top brands, some which are included in the Fortune-500 list. SEO and digital marketing professionals. While the office space may have changed, Digital Current’s Passion for delivering SEO and digital mar.keting ROI for our clients has not . At Kinex Media, we believe in working like a small family. We believe in culture, teamwork, dedication, performance enhancement, laughter, honesty and fun. We work in a totally positive environment and motivate each other to get better each day. We've built a family of passionate people who are always ready to learn and explore new things. We've worked over years to build ever-lasting business relations with our customers & have been successful till date. Kinex Media celebrates every occasion with great enthusiasm and is proud to support a number of nonprofit & charitable organizations by providing fundraising websites at minimal cost but with same quality standards. We believe in spreading happiness to our clients as well as to our team. Kinex Media has been working in forward direction towards its aim i.e. to be the top digital agency in North America. Over the years we've grown due to our hard work and dedication as one of the top digital E-commerce agencies in Canada. Our team count has grown to 25 and still counting. We have chosen the best digital experts from around the world, who are totally dedicated towards their work. We have the best of personnel in the fields of web design, development, E-commerce and online marketing, with years of industrial experience. Over these years, we have got the privilege of working with more than 2000 business including startups and Fortune-500 companies. We are a team of creative technologists committed to achieve client's business goals and deliver on measurable solutions for online growth and greater brand loyalty. Digital Current has grown from occupying a two-room strip-mall. Our mission is to develop lasting and strategic partnerships with our clients by delivering enduring results that maximize the return of their online marketing investments. Kinex Media has always worked to build ever-lasting business relations with our clients. exceptional services in the fields of E-commerce, web design, web development and online marketing. We work for our client’s satisfaction and awards motivate us. that your business grows globally as a brand. We have few principles which act as an advantage. Our team is always keen to learn new technologies and use the existing in the best possible way to yield exceptional results. We adopt the best technologies to help your business lead in the global market. We are totally dedicated towards our work and wish to become the number one digital agency in North America. Our team is dedicated towards providing high quality award winning web designs, E-commerce and online marketing strategies. We believe in working as a team that motivates each other to perform better. We think that working in team not only reduces the chances of mistakes but also improves the chances of success. At Kinex Media, we don’t work for just mere contracts instead we work to build ever-lasting business relations with you. We believe that we don’t have to just work once together, rather we have to keep working together always. exemplary & trend-setting digital experiences to our clients and build a never ending business relationship with them. The Kinex team goes above and beyond to ensure that our needs are met, and they are always willing to spend the extra time to make sure that we understand everything and that we are making the right decisions. Kinex Media had outranked every possibility in greatness. We have been utterly pleased with their breathtaking work our portal. Handing a world-renowned e-store isn’t everyone’s cup of tea, but they did it with ease. It took me a while to find out who could handle my project and accomplish what I wanted for my website. When I came across Kinex Media, I understood why I looked for so long. My portal is a huge success in many countries. I highly recommend them. I wanted a team that would bring sports spirit into my website. 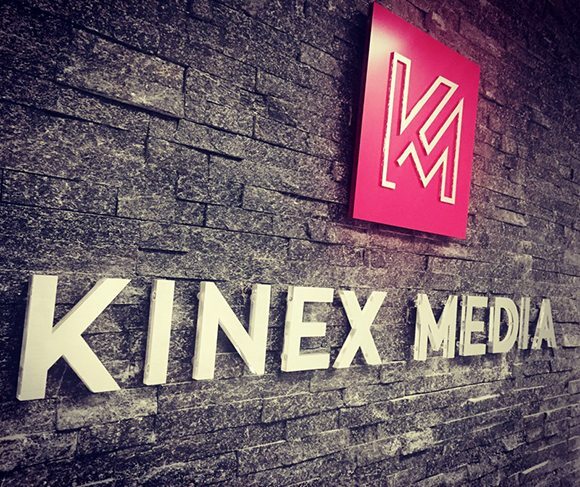 After looking for the best development team on Google, I came across Kinex Media. My website speaks volumes’ about their expertise and skills. Great job, guys. "I thoroughly consider the site turned extraordinary and Kinex Media performed extremely well. The criticism has been awesome ... It's precisely what I was searching for. Pretty much everybody who's seen it, adores it.."
We started working with Kinex about one year ago for our corporate website. From design services to their client relations they have been fantastic throughout, and we would highly recommend them to anyone looking for professional web design services! We have been very pleased with the work of Kinex Media. Considering the vast nature of YM INC portal, Kinex Media worked and performed incredibly well on every count. Since the project went live, we never faced any issues. Cheers to the long term partnership. After viewing Kinex Media’s portfolio, I decided to hire them for my project. They are very professional and showed much enthusiasm and passion during the project development. I am more than pleased with that they have delivered.